Buoys hold sensors that are our real-time eyes on the water. The data they transmit can improve weather forecasts, provide real-time information on current sea conditions and increase accuracy for storm track and storm surge inundation models. 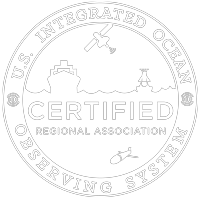 The Basic Observation Buoy (BOB) classroom activity teaches you how to make your own buoy! Basic Observation Buoy (BOB) is a floating platform with capacity to carry a suite of environmental sensors. BOBs can be moored to the ocean bottom in sheltered places with very small waves or to a dock in quiet waters. The materials are based on concepts developed by Doug Levin, Ph.D.
Precollege to undergraduate students can design, build and deploy buoys that host data collection, storage, and transmission capabilities. The target cost for a BOB is $1500, inclusive of the buoy structure, sensor(s), data storage, and transmission. Sensors determine the parameters collected by BOB and may include meteorological parameters, such as wind speed and conductivity/salinity, dissolved oxygen, pH, chlorophyll A, and turbidity.